Description: Brand New in the Box, Ready to Ship. Buy It Now!! 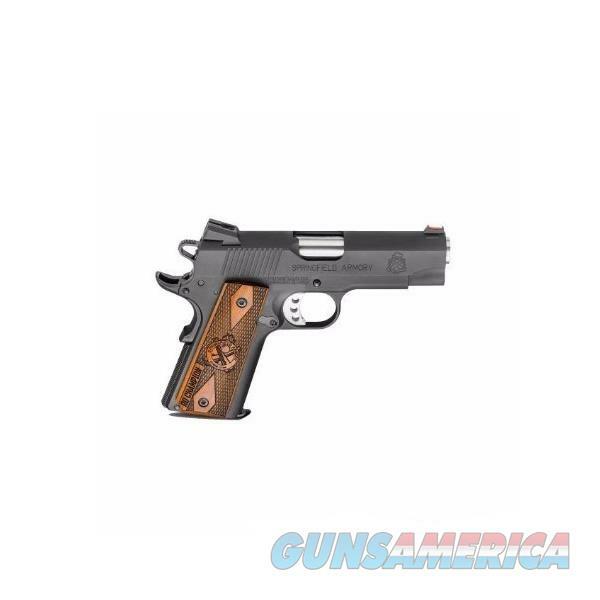 If you want a very high quality full featured 1911 that conceals better than a full-sized pistol without sacrificing capacity, the Range Officer Champion from Springfield Armory offers finely tuned performance in a smaller and easier to shoot package. The RO Champion brings the precision of a competition pistol in a shortened and lighter-recoiling configuration. The RO Champion is topped with a fiber optic front sight and a low-profile combat rear sight, so you have maximum visibility in any situation. The single-sided thumb safety keeps things simple and functional. The beavertail grip safety, extended lightweight trigger and flat mainspring housing, along with a lightweight aluminum frame add to the list of RO Champion features. A fully supported ramped hammer forged barrel allows for no worries for premature wear that would be of concern from alloy frames. Our barrels feed ramps are bullet to barrel not bullet to alloy. The Range Officer Champion adds up to a versatile pistol that is great for an everyday carry or home defense pistol. Includes a Holster and Magazine Pouch. Weight (with Empty Magazine): 31.5 ozs. ORDERS WILL ONLY BE ACCEPTED FROM US RESIDENTS OF THE LOWER 48 STATES, ALASKA AND HAWAII. OUR FFL CLASS DOES NOT ALLOW FOR THE EXPORT OF FIREARMS, THEREFORE WE CANNOT SHIP OUT OF THE US. KNOW YOUR LOCAL AND STATE LAWS!! Please ask for Internet Sales when calling in. **CALIFORNIA RESIDENTS: WARNING: SOME PRODUCTS MAY CONTAIN CHEMICALS THAT MAY EXPOSE YOU TO CHEMICALS WHICH ARE KNOWN IN THE STATE OF CALIFORNIA TO CAUSE CANCER AND REPRODUCTIVE HARM.